Getting new tile roofs can be called a true lifetime investment. Tile is among the most durable roofing materials in the world—just look at ancient structures from China, Europe, and South America. 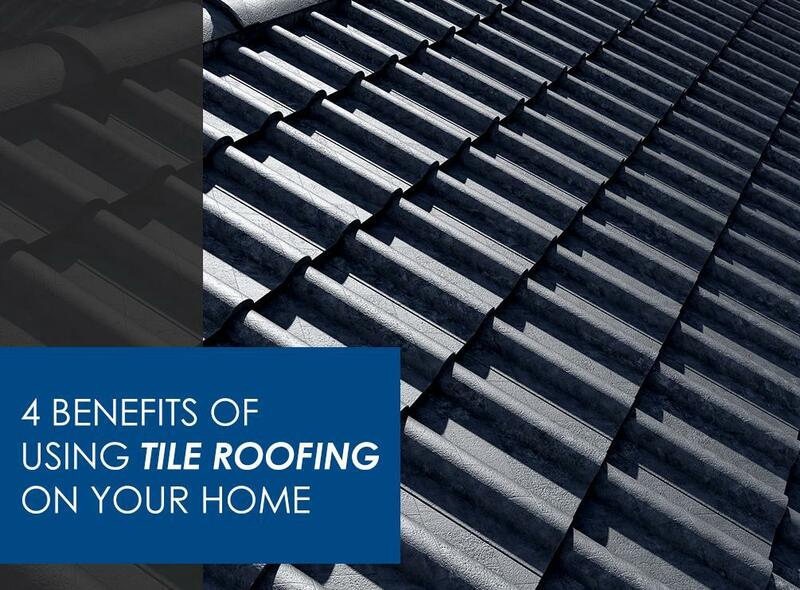 If you’re on the fence with getting tile roofing for your home, let us share with you its benefits. Boost in curb appeal – Contrary to what many people think, tile roofs are not limited to Mediterranean or Spanish architecture. In fact, roofing tiles are available in several styles, colors, and configurations that wouldn’t look out of place when installed on homes with low-slope roofs that normally have asphalt shingles or wood shakes installed. Our concrete and ceramic tile options allow more flexibility when it comes to textures and colors. Protection from just about anything – Tile roofing can take anything that nature can throw at it, from hailstones and tree branches, to extreme heat and hurricane-force winds. In addition to its natural impact resistance, it’s also fireproof and insect-resistant. Its exceptional durability also makes it a cost-effective roofing choice when you consider its long lifespan compared to other roofing materials. Asphalt shingles are expected to last 20 to 30 years, while tile lasts 50 or even 100 years; that’s two or three asphalt roofing replacements versus a single tile roofing replacement in a single timespan. Makes your home greener – Tiles have always been sourced from naturally-occurring, sustainable materials, whether it’s traditional clay tiles or modern concrete and ceramic options. Given its extended service life, it occupies landfill space much less often than other roofing materials. Savings on your energy bill – Concrete and ceramic are excellent insulators, which translates to reduced thermal transfer, which translates to warmer indoors during winter. What’s even better is it absorbs much less heat during summer, which makes for cooler indoors. Both mean reduced cooling and heating requirements, resulting in lower energy bills. Peak Roofing Contractors, Inc. serves Northern Virginia and neighboring areas in the State of Virginia. To know more about tile roofing or our other roofing options, call us today at (703) 745-5153 or fill out our contact form for your free, no-pressure written estimate.